If you’re like me, you sometimes have trouble drinking enough water. I have struggled with getting all the water I’m supposed to get for ages it seems. I’m not sure why…I like water well enough I suppose, but I just don’t drink it as often as I know I should. Maybe it’s because I am partial to sweet stuff?? But lately, then again, I’m kind of off the sweet stuff, so I don’t really drink much juice either. While I was living on my own and completing my basic sciences, I had very measured, very predictable, very repetitive days. I was at the peak of my health kick life at that time, so that’s when I started. Breakfast everyday, little yoga in the morning, class, lunch, healthy snacks, evening workout..
And nothing but water throughout the day. With that accomplished, I could have juice with dinner, if I felt like that. Plus I had a huge water bottle, and I made myself finish at least one of them per day. It was hard. But I enjoyed what it did for my skin and how it made me feel. Still though, drinking water is difficult. But I’ve found a way to make it easier. This is not new by any means, but I’ve recently been a little more consistent with it since it’s so easy. 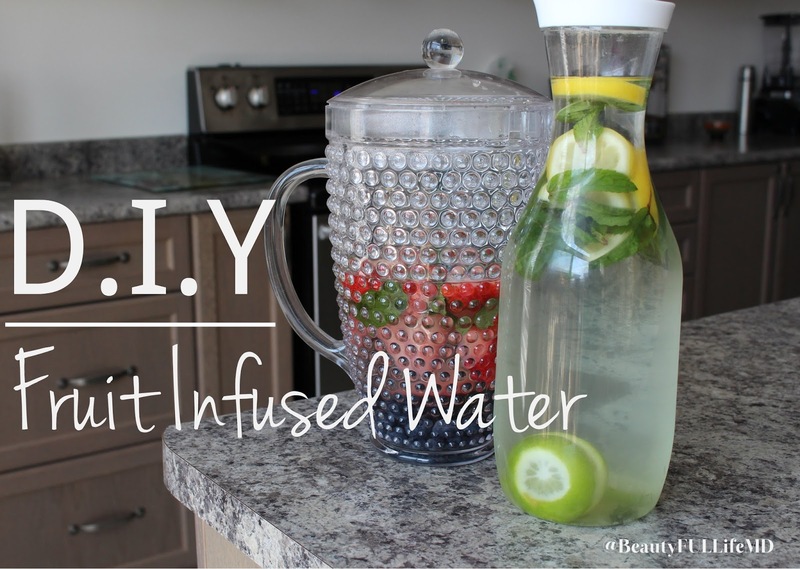 Making your own infused water is simple and refreshing without being too fresh and without being to sweet. Plus, you get extra vitamins and from the fruits you put in. This week I made two different recipes with mint since I find it extra refreshing for some reason. Just be sure to wash everything well before adding it, especially the mint leaves. 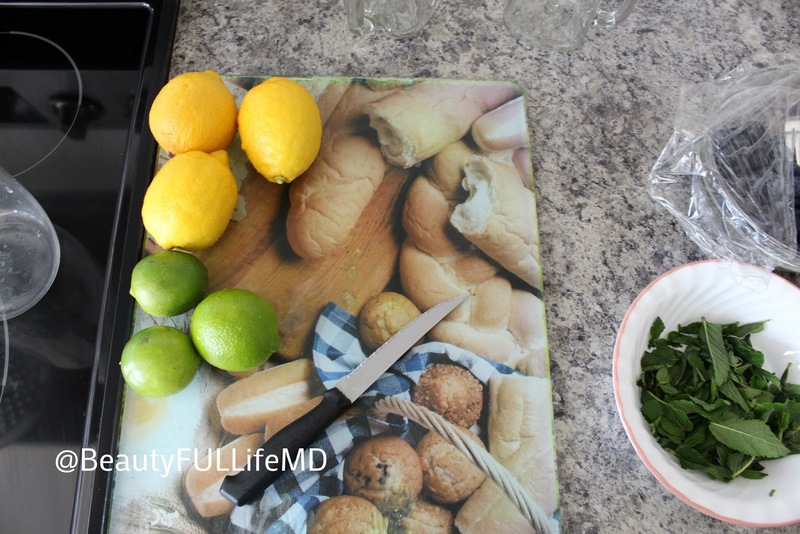 All you have to do is cut up your choices of fruit as you would like them, and add some water, put it in the fridge for at least a couple of hours and then enjoy your refreshing and vitamin filled water! It can help you feel full. This is just like water in general, but since you’re more likely to drink more once it tastes good, you can more easily drink up more of it. And it costs you pretty much zero calories to do so. 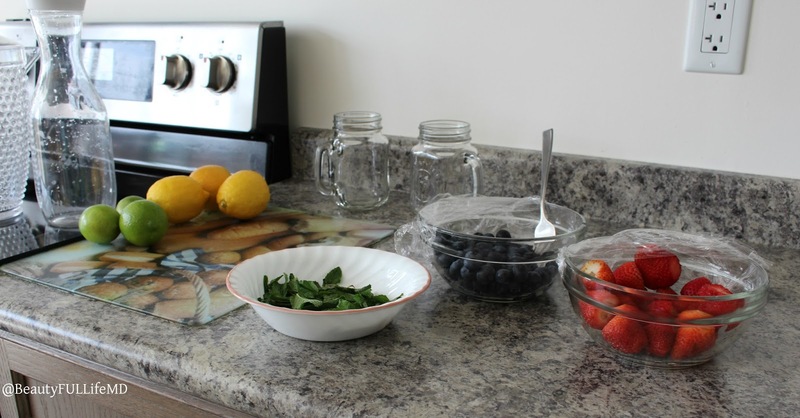 Bloating can be alleviated depending on what you add to it. Cucumbers and lemon do a nice job of beating back that uncomfortable feeling. 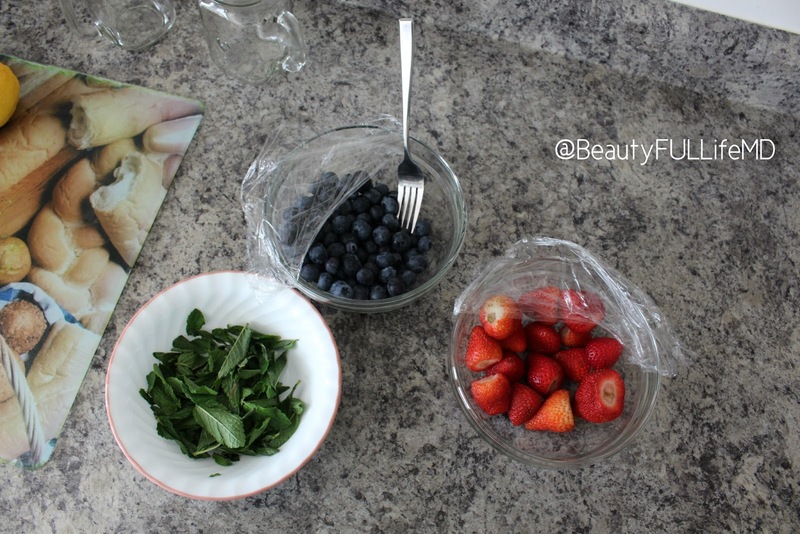 You can get your antioxidant boost by adding some berries. Flushes out your system, and improves the look of your skin. A great way to recharge after or during a workout. Basically you have all the benefits of water, but it’s much less boring and easy to switch up!